I wanted a medium sized pack for my back that wasn’t too big or small, and would expand, was comfortable on the shoulders, and of course hand made. This is not a huge back sack like it looks. To me, it is the perfect size and sits nicely between the shoulder blades without feeling too heavy. 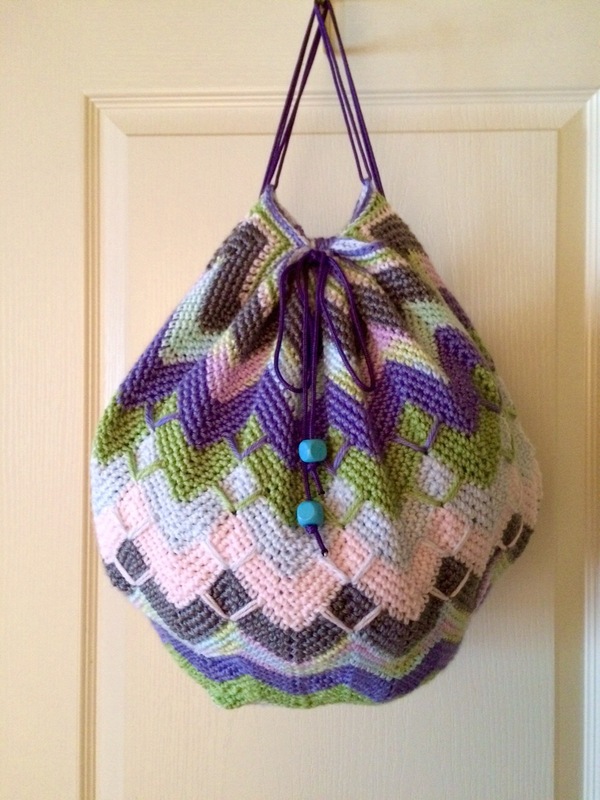 I made a Free pattern for it. If you can’t open it and you want it, I will email it to you. 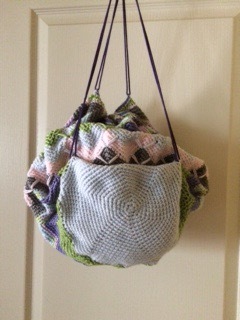 It is a chevron bag with some of the Chrevron rows using a long double crochet to rows beneath in order to add some texture and uniqueness. This pack will look cute with a little in it or a lot. In this photo it has some yarn in it to fluff it out a bit. 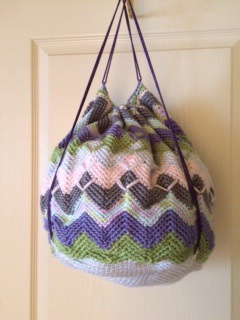 Here it is stuffed with a few sweatshirts on top of the yarn to fill it up more. It could even hold more if you wanted. See the back? Since it isn’t fill up, it will just lay against you. Thank you. 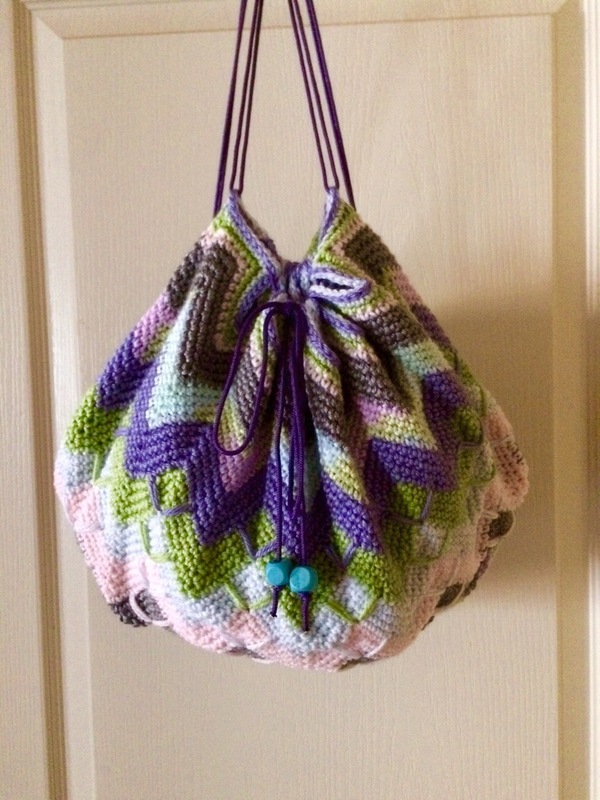 I ended up giving it to my daughter because it looks so cute on her back and fits lots of stuff.